Who thought perfection could do us harm? How could something perfect be the cause of something bad? It is, after all…well, perfect! Not quite! Take a seat, we’ve prepared the blunt truth! You see, while perfection poses as a helping friend who wants to see you make it big, it actually is just a nagging partner who’s never satisfied, no matter what. It will always leave you doubting, frustrated and unable to reach the highly impossible standards it has set. Perfectionism is really dangerous, as it can lead to depression, anxiety, a feeling of dullness, bad relationships with others and even poor physical health. You end up spinning in circles, giving your all, but always feeling one inch short, when you could instead escape the maze of perfectionism and actually enjoy your results. How? We’re glad you asked, it means there’s still hope for you! If you’ve read anything until now (and as a perfectionist we’re sure you did), you’re surely familiar with the idea of “carpe diem”. Besides being an intellectual saying roman philosophers used and a popular hashtag on Instagram, it is actually very powerful advice you should take right in this diem! The thought behind is beautiful in its simplicity: life happens now! Don’t postpone enjoyment, don’t plan it for the future, live it now! So, while working on a project, or on your relationships, or on yourself might, stop trying to control the results and just focus on what you’re doing in this instant and enjoy it! Breathe, relax and be happy that you’re doing whatever you’re doing. Since we live in the digital era, you can help yourself get drawn by the process with the help of some gimmick. Using apps to take your mind off the fact you want things to turn out “perfect” and focusing instead of each individual step is a great way to start. Apps will gamify the process, making it more enjoyable and less stressful. You could turn to an app manager like Setapp to get access to a ton of great apps, curated for every task imaginable. So, no matter what you want to achieve, you’ll definitely find an app in Setapp. 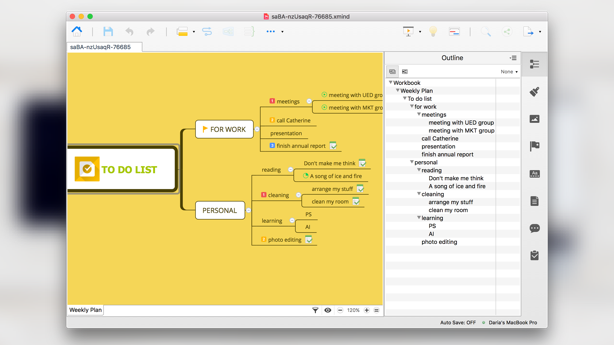 A great way to start is with a mind mapping app. It will help you free your mind, organize your thoughts and keep a balance between your creative side that carpe diems and your perfectionist persona. You could try XMind and begin to draft your thoughts and order them. Once you find pleasure in the process, keep it going without over thinking and second-guessing yourself. That’s just the perfectionism trap luring you in. Momentum and inspiration are all that matters. And a process you’ve enjoyed will definitely bring out a result that you’ll love. Sometimes we’re our biggest enemies and our harshest critics. No matter where this harmful mentality arose from, it must be crushed with fire. You’ll find out that friends are amazing illusion crushers and that in cases, they can believe in you more than you do. The trick is to surround yourself by people whose opinions you respect and who are open enough as to always be true to you. Once you’ve completed this step (made friends, yeeey!) you can proceed to ask for their input on the projects you’re currently running. Now, don’t become a bother by inquiring for their opinion at every step of the way. Be casual, charming, laid back and enjoy the discussion (that carpe diem kicks in again). You’ll see that a boost from your friends can amount to new found inspiration, a boost of energy and some definite feel-good energy. Luckily, today there’s an abundance of ways to keep connected with your friends, even miles away. 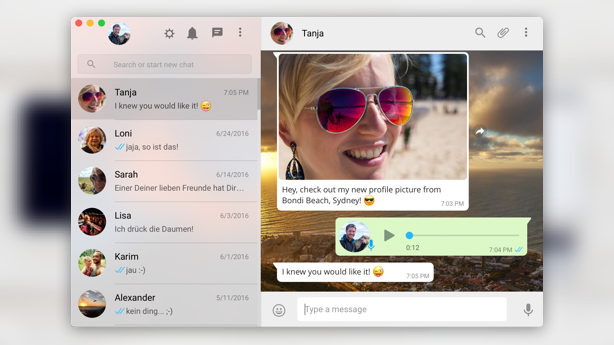 But you ought to do it in style with ChatMate from Setapp, which offers you a great way of using Whatsapp on your Mac. So whether you’ll receiving bravos on your projects or some tough love, you’ll see that with some external perspective, it’s going to be easier to escape the perfectionist trap. For a perfectionist, this might sound like the biggest blasphemy of all times. But take a step back, breathe and try to picture this: some of the biggest inventions of the modern world were discovered by mistake (think penicillin!) and many works of art nowadays incorporate errors in a way that transforms the piece and makes unique. In fact, these small imperfections are actually the pattern breaking detail that puts a fresh spin on an old hog. Thus, why chase that impossible perfect illusion in your mind when you could instead embrace uncertainty and see where it leads? Okay, let’s take it slower and bring in some digital help. We’re thinking…Ulysses - the app that draws you into the process with its stellar design and functionalities. You will start loving the imperfection of a great note taking app that enables you to organize and brainstorm. Again, a duality of order and creative chaos, in the best possible way. Also curated by Setapp, Ulysses organizes all projects in one place while also allowing you to get your creative flow going on. 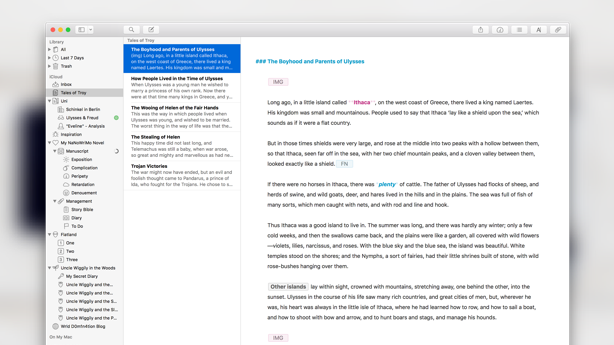 With Ulysses, you can craft the words and thoughts for any project and follow it through. However, here’s the deal: if something goes wrong, just enjoy the process, ask a friend for feedback and just get with it! Take the error and work it towards your advantage. Worst case scenario, you’ll learn to stop worrying and love the bomb! If there’s any predictor of how long you’ll hang in for a task, is the fun percentage involved. While perfectionism will force you to spend excruciating hours working on something, fun will make you actually want to. So, the trick to escape perfectionism is to allow yourself to have fun, to be human, to make mistakes and to be creative! And you’re not alone in trying. There are tons of tools out there ready to aid you and Setapp has a bunch of lovely apps for every occasion imaginable! Know that a great thing doesn’t have to be perfect and that, more often than not, it’s the imperfect things that catch our eye and change everything. It’s not going to be easy to become an “imperfectionist” but you need to start somewhere. And, contrary to your current belief, this is as good a place as any!